January is Mental Wellness Awareness Month, and that means that we’re all being a bit more mindful of the impact our daily routines have on our overall mental health. As we all know, mental illness is on the rise not just in Canada, but on a global scale, with the highest prevalence rates in the US. This is why the country has dedicated the month of January to focusing on mental wellness and developing healthy habits that will not only help to decrease mental illness but increase the longevity and quality of lives everywhere. In honoring mental wellness month, I’ll be sharing some tips for getting proactive about mental health and fighting symptoms of mental illness. 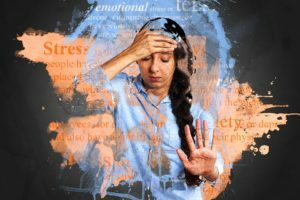 Mental wellness is something that should be respected, and the following tips will be most effective when consistently practiced throughout the year. Mother Nature is one of the most healing energies we can tap into. When we spend time outdoors, not only are we stocking up on our vitamin D supply, but we’re also bringing healing into our bodies and minds. Research shows us that something changes in our brains when our bare feet are planted on the earth, and it’s both grounding and soothing to the soul. Hikes in the wilderness and trips to the ocean are wonderful for healing and reducing stress. If you’re ever not feeling your best, spend some time outdoors among the birds, bees, and trees. You may be surprised at just how wonderful you feel afterward. If you have a difficult time leaving your home, think of some fun activities that you can do outdoors, and invite a friend. A buddy is one of the most motivating factors for getting outside and moving your body. Regardless of your outdoor activity, the benefits of it will extend far into your week and bring a fresh sense of renewal. Treating yourself well means loving yourself and respecting yourself the way you would your significant other, family member, or friend. Oftentimes we can become our own worst critics and enemies in this life, and may struggle with insecurities, self-doubts, and self-deprecating thought patterns. We should be loving, supporting, and kind to ourselves just as we would to someone we love. Monitor your self-talk and challenge any negative thoughts or messages you feed yourself on a daily basis. Make a habit of replacing them with messages of love and support, and you’ll be well on your way toward feeling a bit brighter and having more confidence. We only get one body, so we ought to treat it as best as we can. That means feeding it with healthy, organic fruits, vegetables, high protein grains, essential fatty acids, lean proteins, and all of the vitamins, minerals, and amino acids we need. Our physique is 80% dependent upon the foods we put into our bodies, and 20% dependent on physical activity, which is also incredibly important. As little as 30 minutes of cardio each day is enough to give us both cardiovascular and mental health benefits. Eating as many whole, raw, natural foods that grow in the earth as possible is important as well. Nature holds the power to heal us from 95% of diseases. And since a majority of our serotonin and other neurotransmitters responsible for mental wellness are produced and located in the gut, it’s no surprise that eating healthy can have far-reaching mental wellness benefits. For those who find it difficult to eat all of the essential micronutrients needed for optimal health, a high-quality micronutrient supplement will suffice. When you’re feeling a bit drained or strained, sometimes nothing can feel more soothing than taking some time to nourish yourself. Relax with a good book, Netflix and chill, take a trip to the spa, or soak in a bubble bath with essential oils. The more we nurture ourselves with self-care, the more we’ll be able to tackle the challenges life brings us. We’ll also be better equipped to be there to nurture others. Self-care teaches us how to respect ourselves and what to expect from others. When we nurture ourselves and treat ourselves right, there is no room for those in our lives who cannot do the same. Nurturing your relationships means not only working on the relationship you have with yourself, but also nurturing relationships with family, friends, and any furbabies you may have. Connecting with others and sharing your life and joys with them is a great way to help yourself stay mentally balanced. When symptoms of mental illness set in, it may feel more comfortable to go into hermit mode and shut others out, but this isn’t the healthiest method for overall wellbeing. While it’s healthy to have a good amount of alone time to nurture and nourish your soul, it’s also important to connect with others. You may find that the way you’re feeling isn’t uncommon and that others share similar struggles. This can be incredibly healing. If you’d like to increase your circle of friends, start attending functions that surround your hobbies, interests, and spiritual belief system (or lack thereof). Having connections with others who share in your hobbies and interests is a great foundation for a solid friendship and relationship. Making time to do the activities you enjoy is a great way to stay mentally well. Whether it’s playing a sport, practicing yoga, going on a bike ride or run, spending time at the gym, or indulging in creative practice, you will be stimulating a part of your brain that makes you feel grounded, less stressed or anxious, and happier overall. Making this as much of a priority as you would going to work is key. Before long, participating in hobbies and interests will become a habit and you’ll find yourself enjoying them without consciously thinking about it or planning it out. Those who suffer from depression may find this a bit more difficult to do at first, but with a bit of strategic planning and some help from a supplement and social circle, you may find it easier to get out of bed in the morning and do the things you once loved to do. After a while, you just may find yourself thoroughly enjoying these activities again and not needing as much of an internal and external push to get you to do them. Mental illness is as serious as any life-threatening physical ailment. It can be debilitating, and for some, it can be fatal. This is why it’s important to make mental wellness a top priority, especially if you’re prone to episodes of anxiety and depression. It may also help to have a trusted friend or therapist you can confide in when life becomes difficult. There is no shame in seeing a therapist. In fact, every good therapist should also have a therapist. It’s just a great, healthy way to stay in touch with ourselves and be proactive about mental wellness. If you’re interested in a holistic method for treating depression, anxiety, bipolar II, or ADHD, the folks at Focus Essentials have developed a wonderful formula containing all of the essential micronutrients our bodies and minds need to perform as they should. There’s no harm in trying a bottle, and if it doesn’t give you the relief you seek, the company will give you a full refund. Best wishes to everyone this January and the rest of the year. May you all take the actions needed to stay on top of your mental wellness and have the best 2019 possible! The post 6 Tips for Being Proactive About Your Mental Wellness appeared first on .